As a 26 year old white boy with a deep appreciation of female-driven soul, R&B and hip hop music, I am used to being something of the odd man out among fellow fans. No artist, though, unleashes the black woman hidden within this pasty male body quite as much as Jill Scott (to whose music I was introduced, interestingly, by one of my similarly Caucasian fraternity brothers, whose ambiance playlists for pot brownie evenings were second to none). The subtitle of each of her three studio albums thus far, "Words and Sounds," may risk seeming pretentious, but a Jill Scott album is not your usual parade of a dozen or so tunes in standard length and form: it is instead, in fact, a collection of poetry set to deep R&B music and beats, some freeform, some verse, some package-ready standards, some lengthy ruminations, and some brief spurts of feelings or ideas. It helps that Scott possesses an instrument every bit as strong and compelling as her words, not to mention a remarkably and consistently groovy and relaxed artistic phyche. 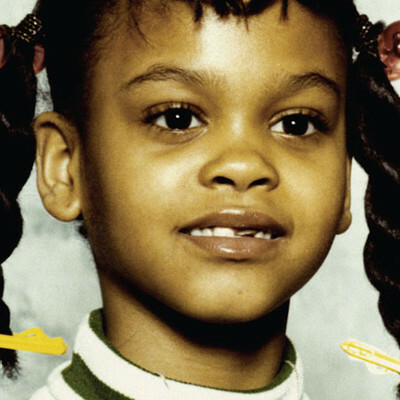 I had a bit of a time trying to select just one track from Jill Scott's discography for Song for the Day purposes, although I was probably leaning from the start towards "I'm Not Afraid," the opening track (after a minute and a half of "Warmup") on Scott's strong second album Beautifully Human. I was always particularly drawn to the deep bass and reliably syncopated beat underneath the lyrical pronouncements of empowerment, the alternating high and low electronic chords that span the three and a half minute track without resolving. As I became more familiar with its place in Scott's discography it only took on more significance, even without ever feeling especially significant in itself, so it has, in a way, always haunted my visits into Jill Scott's realm. After barrelling onto the R&B scene with her critical smash debut Who is Jill Scott, in 2000, the singer virtually vanished from the scene just as Lauryn Hill had following her even bigger game-changing debut The Miseducation of Lauryn Hill (a departure from which she has yet to return), so when four years later Scott's new material finally arrived, critics were bowled over by a followup that defied all industry logic by being even more brilliant than the first under circumstances that seemingly made such success beyond improbable. The album is a marvel, indeed, but the reasons are all there in "I'm Not Afraid" on its own: the 32 year old was no longer singing breathtakingly sensual and sincere tunes about loving her man, instead delivering a thoroughly adult album that discussed politics, responsibility and mature optimism without once seeming to preach, and all the while it was simply good music as well. Scott's fourth studio album is reportedly due later this year, and the singer, now 38, is currently touring with Maxwell to sold-out arenas nationwide.